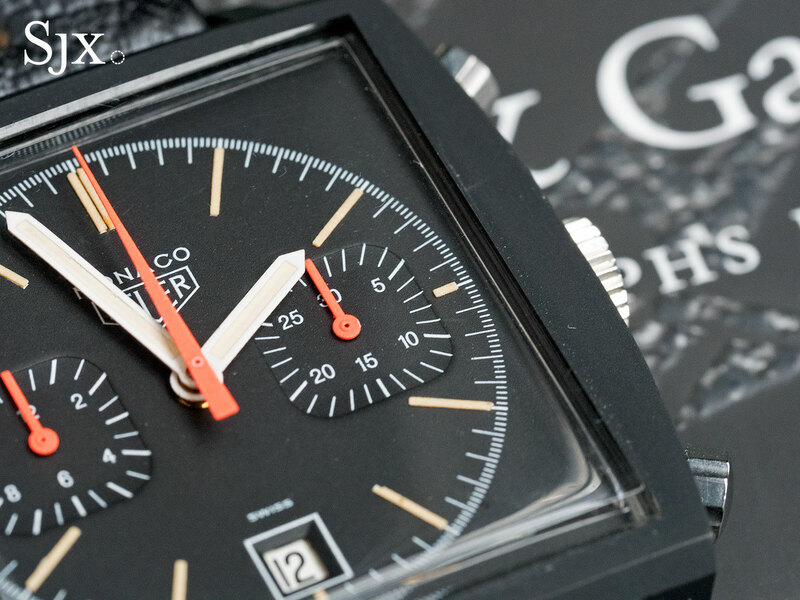 Long the poor cousin of Rolex and Omega collecting, vintage Heuer watches are now in demand. 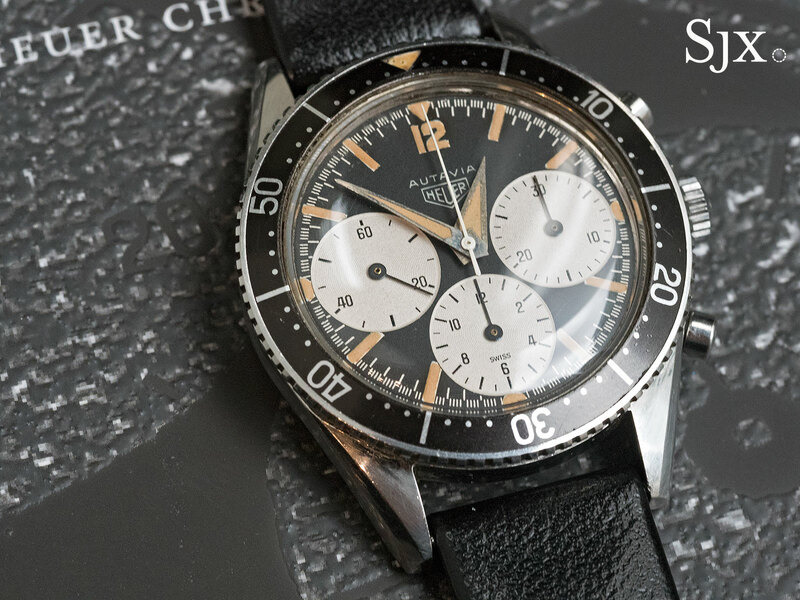 The milestone event for the genre takes place in mid November when Phillips will sell over 40 chronographs from the collections of Richard Crosthwaite and Paul Gavin, a pair of English Heuer enthusiasts who have written two books on the subject. 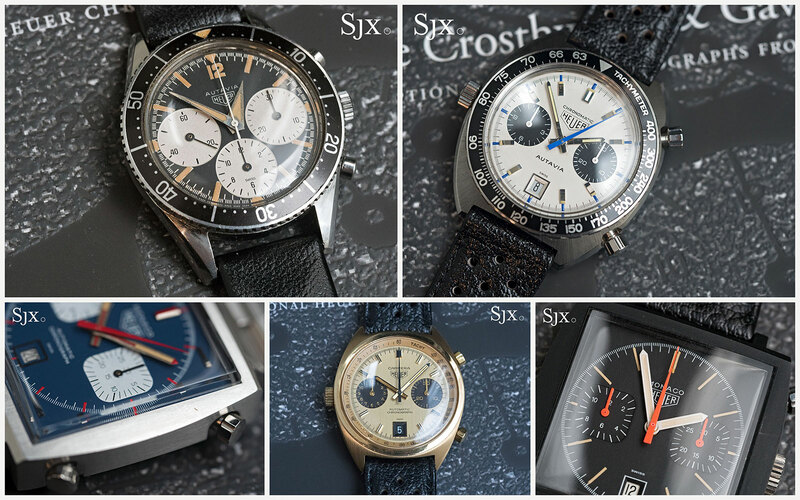 Properly titled The Crosthwaite & Gavin Collection: Exceptional Heuer Chronographs from the Jack Heuer Era, the auction has been a long time coming, with the run-up over the last three years having seen a spike in values and interest. 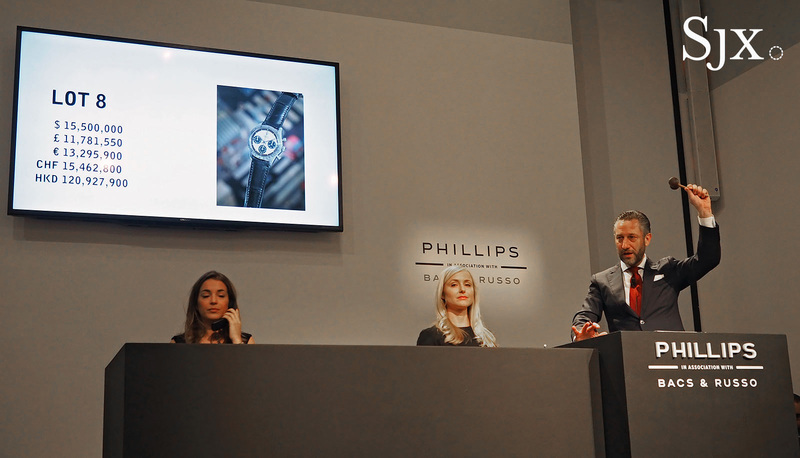 Just in June 2017 Christie’s sold an Autavia bearing the logo of the Indianapolis Motor Speedway for US$199,5000. 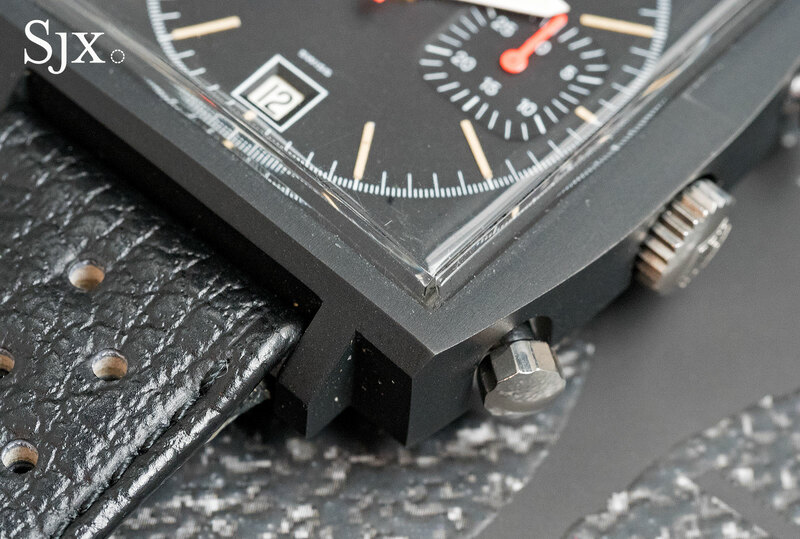 The success is thanks to a combination of savvy promotion by TAG Heuer chief executive Jean-Claude Biver as well as lots of exposure in vintage-focused watch sites like Hodinkee. 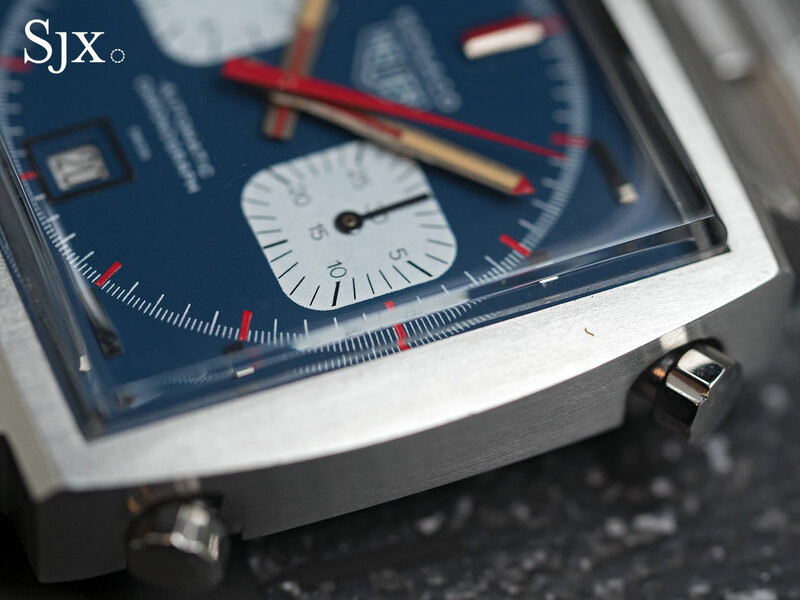 Heuer chronographs from the 1960s to 1970s – the last era of Heuer family ownership that ended with the Quartz Crisis – have proven to be the most desirable. 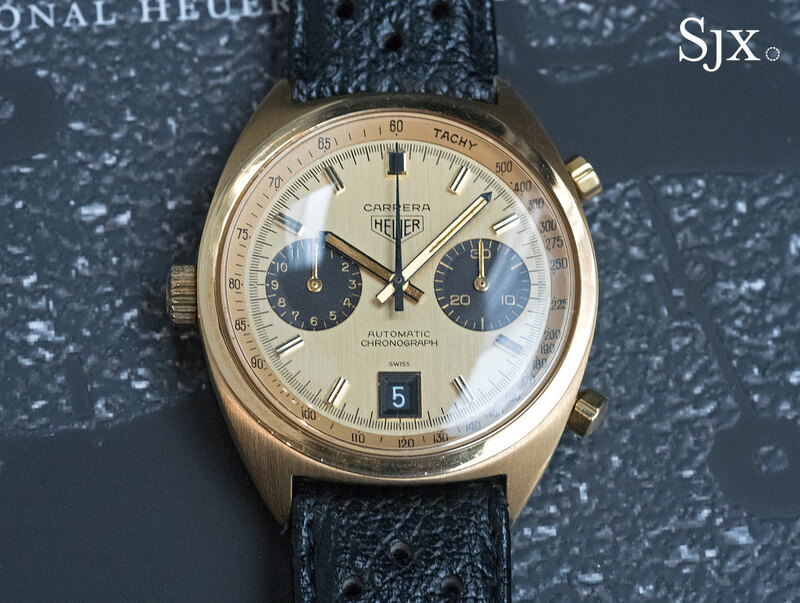 The Heuer auction is consequently arranged around that period, with 42 vintage watches plus one modern limited edition that’ll be sold for charity. Here’s a look at five of them. 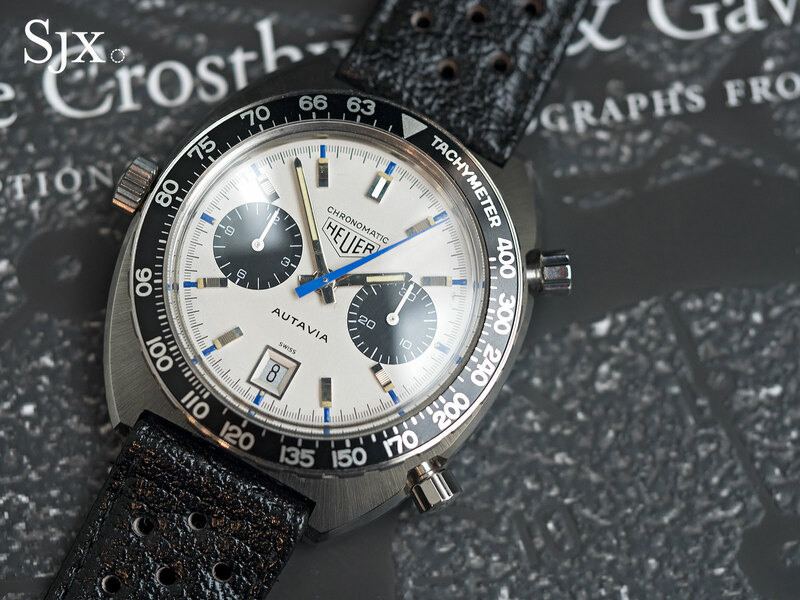 Perhaps the watch that will end up being the most expensive in the sale, this is an early Autavia ref. 2446 dating from 1962. 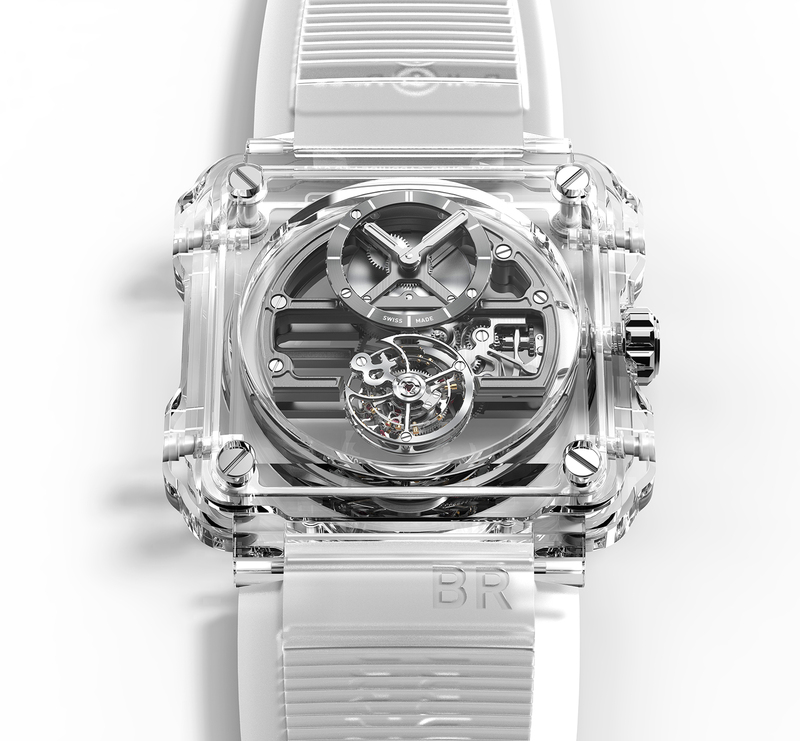 Extraordinarily, this is a watch that was selling for well under US$5000 ten years ago, and well under US$10,000 five years ago – and in December 2016 Christie’s sold a similar watch for US$125,000. 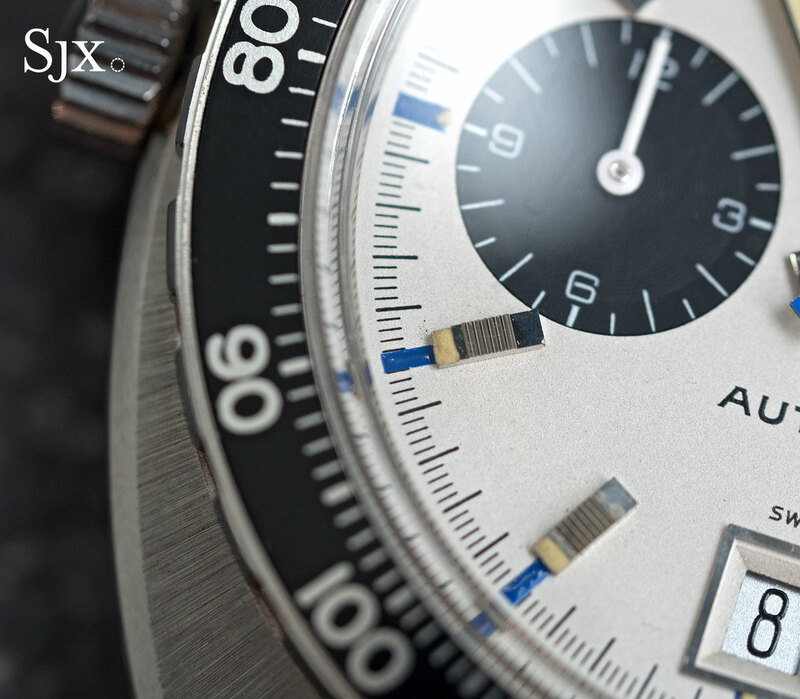 What makes this Autavia desirable is the “first execution” dial, characterised by the oversized chronograph registers. The hands are “second execution”, with luminous fill down the middle, setting them apart from the “first execution” hands that are covered with luminous paint edge to edge. Another feature distinct to earlier examples are the smaller pushers and crown with a domed top. 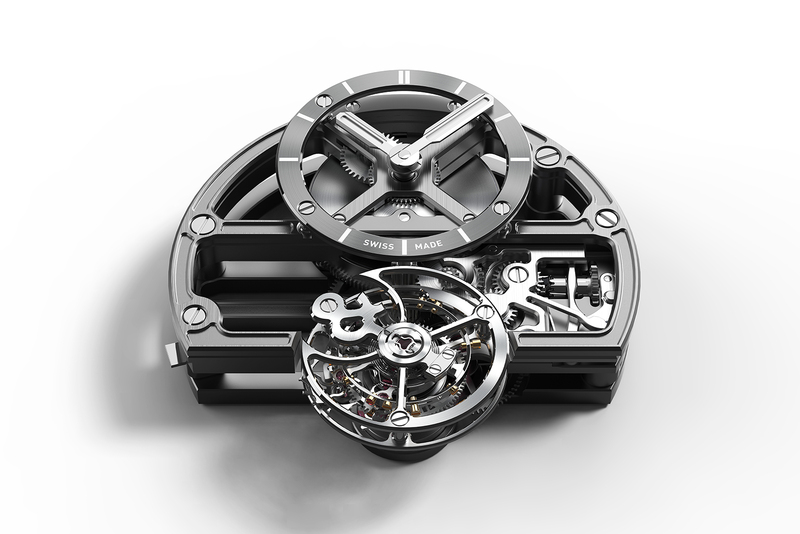 The reason this watch might end up being the top lot is two-fold. 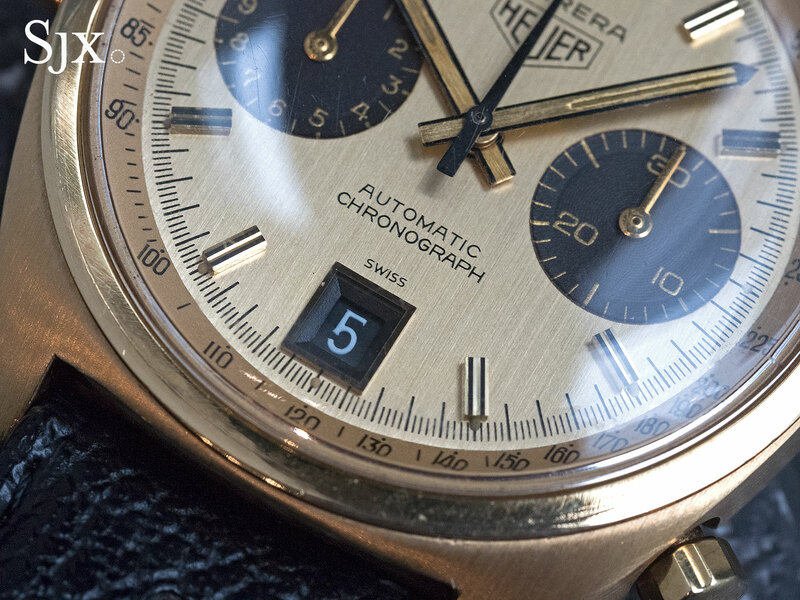 First is its intrinsic rarity, being an early example, and the second is the fact that the Autavia has evolved into the most desirable Heuer model. A contraction of “automobile” and “aviation”, the Autavia encapsulates all of Heuer’s prowess as a maker of stopwatches for professionals. A later version of the ref. 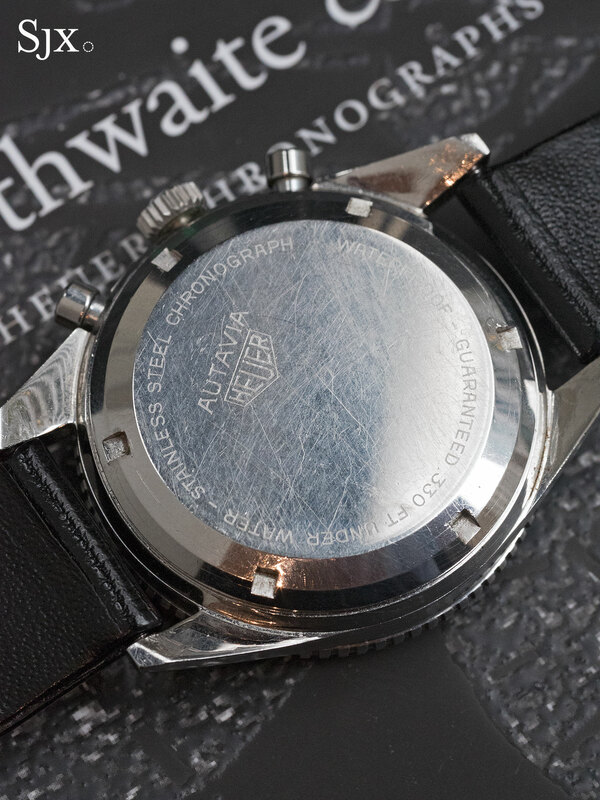 2646 was the first model subject to a modern remake when Jean-Claude Biver took charge of the company, and the Autavia line the focus of a lengthy book, which now makes the model almost the signature Heuer watch. This is estimated at SFr80,000 to SFr120,000. The next lot stands in stark contrast to the Autavia ref. 2446 above. 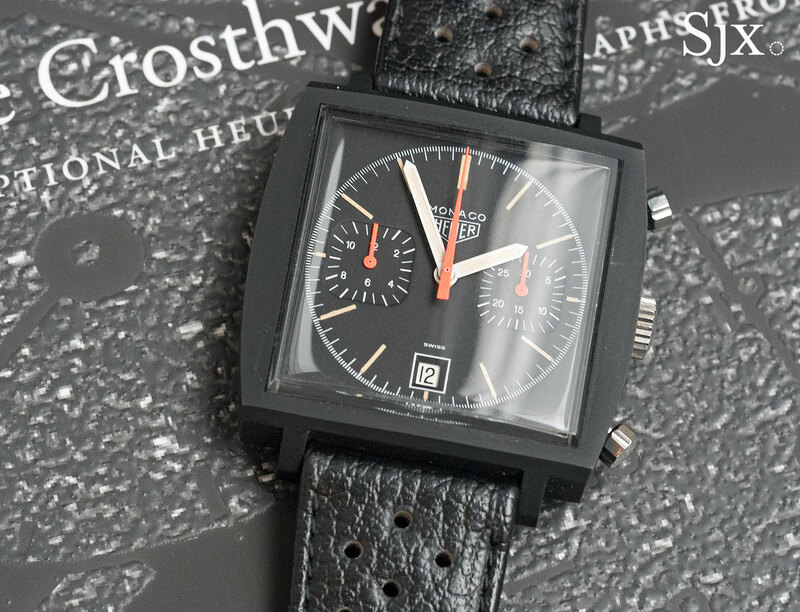 Once the most expensive of vintage Heuer watches – it peaked at about US$75,000 – the “Dark Lord” was the holy grail for many collectors when Heuer was still an esoteric pursuit. 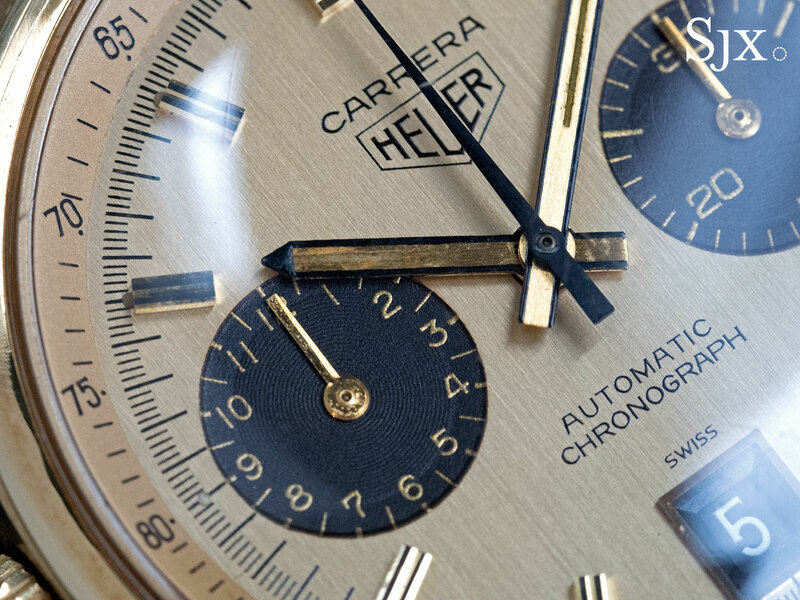 Now that the brand has become more mainstream, it has been eclipsed by other Heuer chronographs, since they are regarded as more historically important and also round in shape, a quality that draws greater mass appeal. 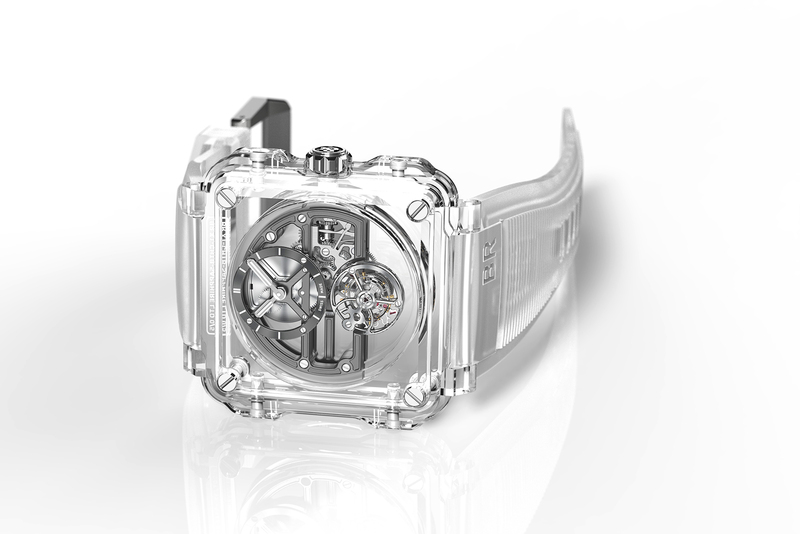 Once believed to have been a small series of prototypes, Phillips says some 100 to 200 may exist, according to the recollections of Jack Heuer. 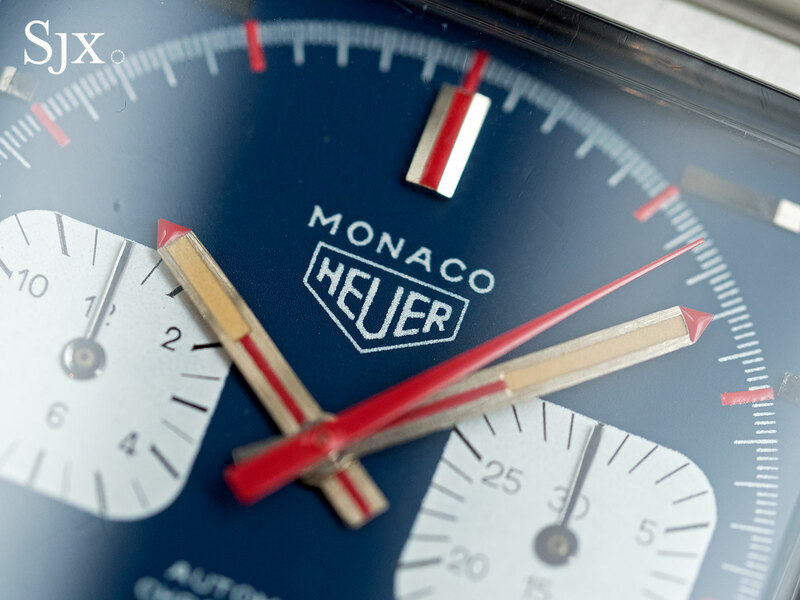 According to lore, Mr Heuer ordered up a black Monaco after seeing a black-coated Audemars Piguet Royal Oak on the wrist of the King of Spain. 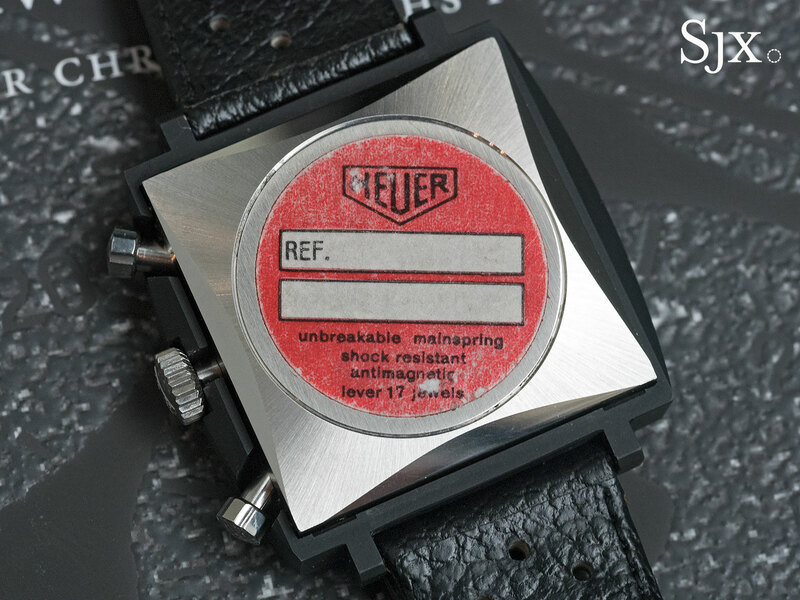 The black and orange colours along with the aged tritium make this an extremely striking watch, and this example is in “new old stock” condition, with a pristine black powder coating (usually extremely delicate) as well as its box and paperwork. The estimate is SFr35,000 to SFr50,000. 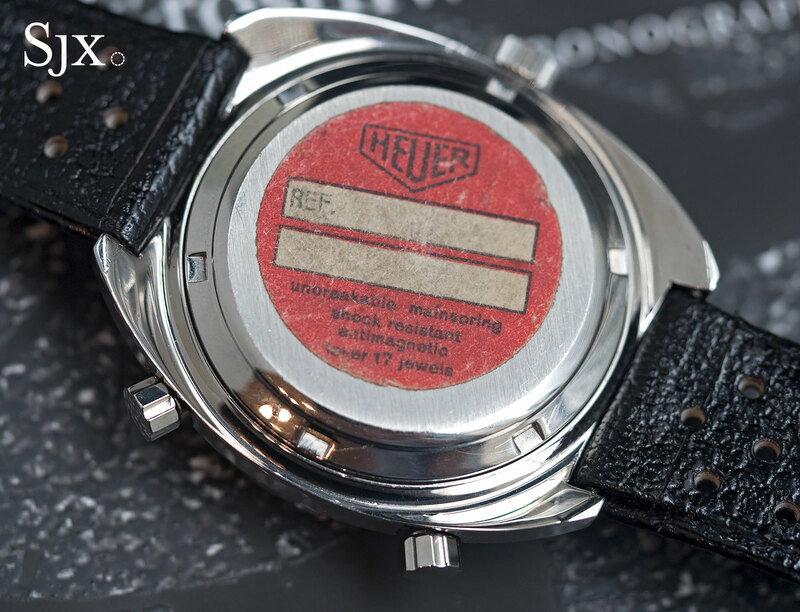 Nicknamed the “Ferrari” watch because it was the model Jack Heuer handed out to Ferrari drivers as part of the watchmaker’s sponsorship of the racing team, the Carrera ref. 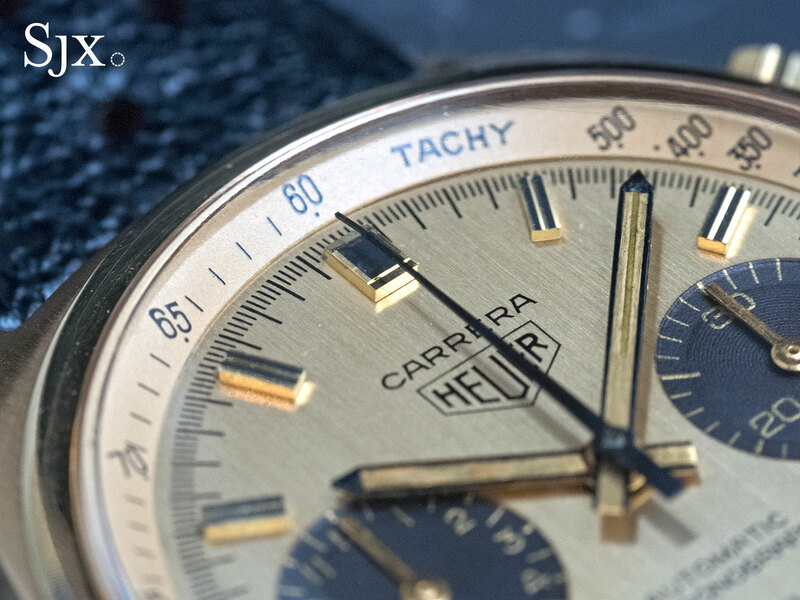 1158 has an 18k gold case and was the most expensive Heuer in its time, especially when paired with the matching 18k gold bracelet. This example is the rarest and best looking version of the ref. 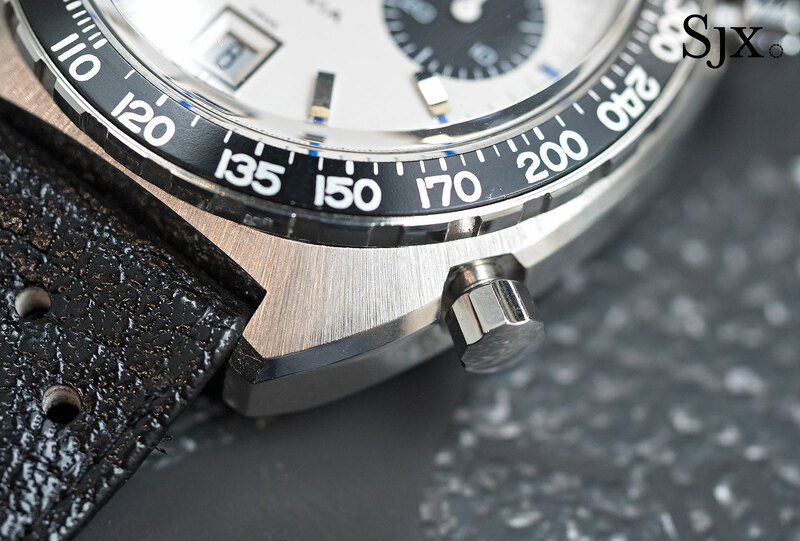 1158, with black sub-dials and date – the suffix “CHN” is short for chronographe noir. In fact, a unique variant of the ref. 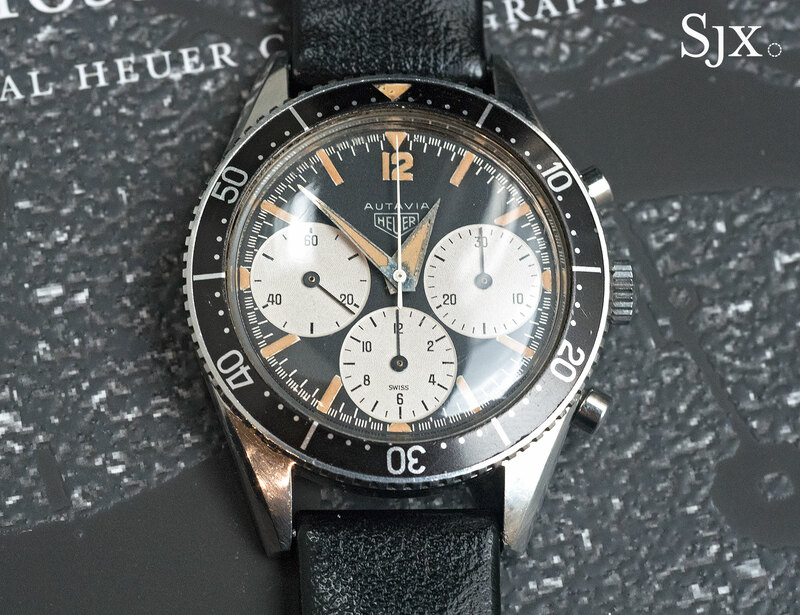 1158 CHN that was one of Jack Heuer’s gifts to a driver still holds the record for the most expensive Heuer ever sold at auction, having sold for about US$230,000 at Sotheby’s last year. But despite being rare and intrinsically valuable because of the precious metal, the ref. 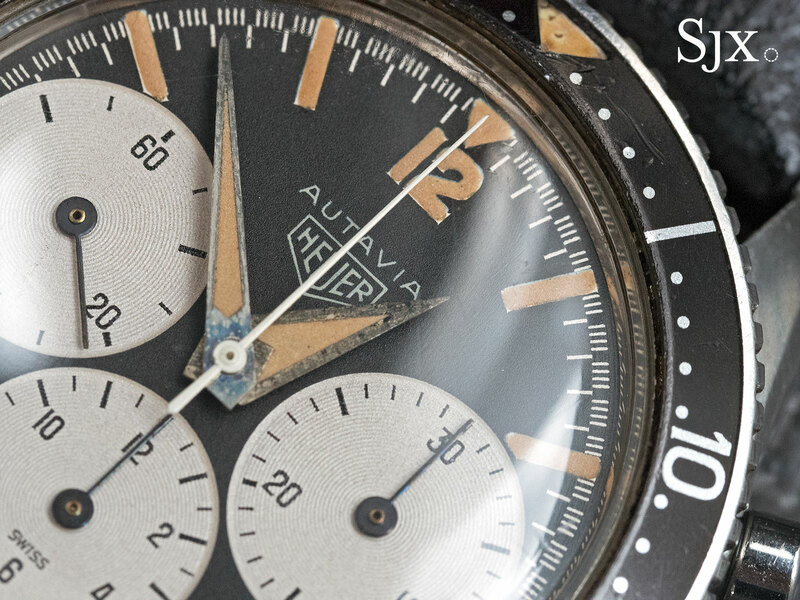 1158 is nowhere near as valuable as the top-end Autavia chronographs, which is a repeat of the trend for collectible Rolex and Omega chronographs. 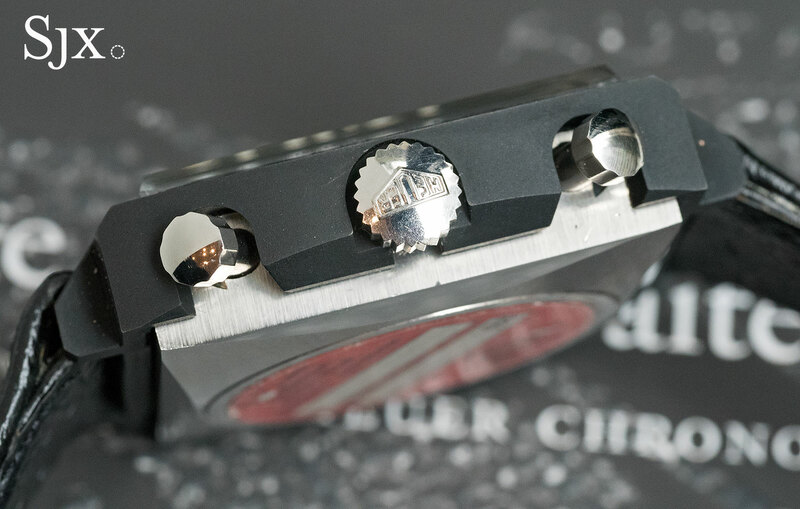 The no-frills steel models, ostensibly made for professionals, are always the first to take off in value, while the luxe versions tend take longer to creep upwards. Consequently, it is relatively affordable as such things go, with an estimate of SFr15,000 to SFr25,000. 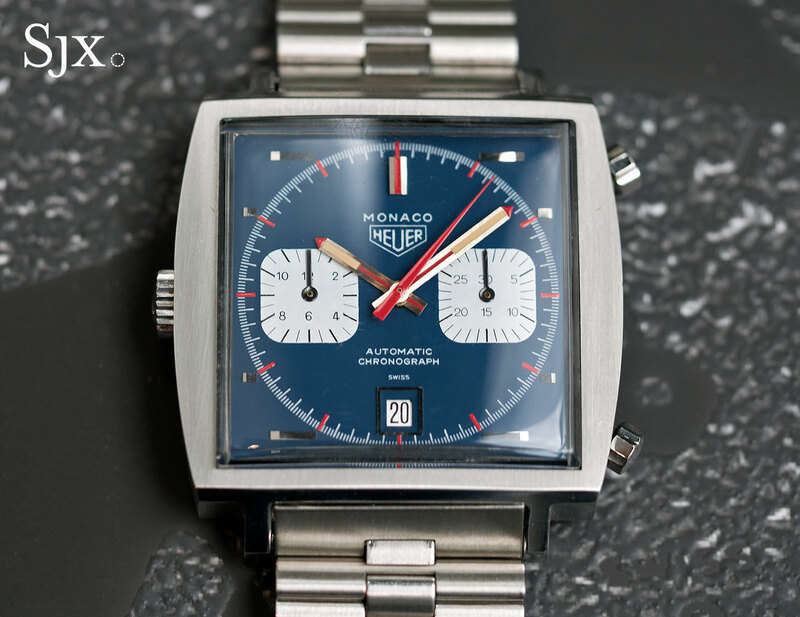 Having got its name by virtue of the fact that the actor wore one in the 1971 film Le Mans, the Heuer Monaco ref. 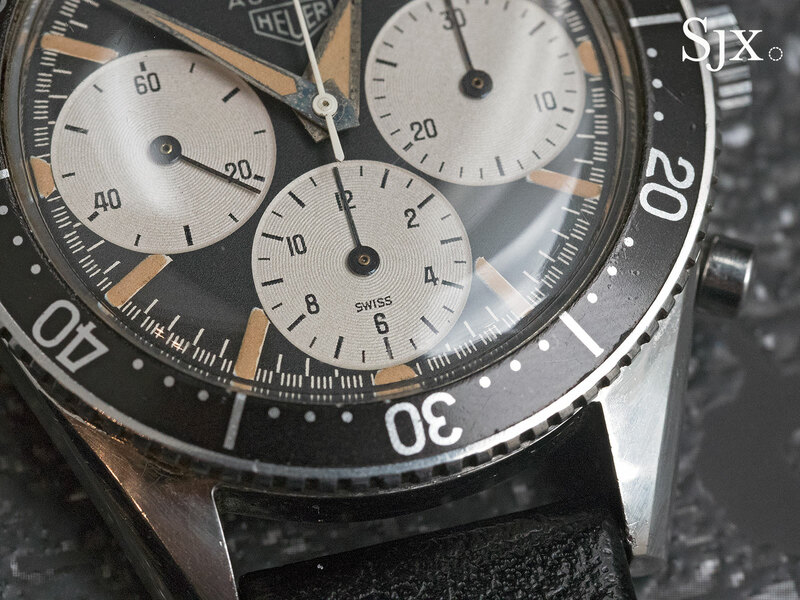 1133B was arguably the signature Heuer until the Autavia took prominence. 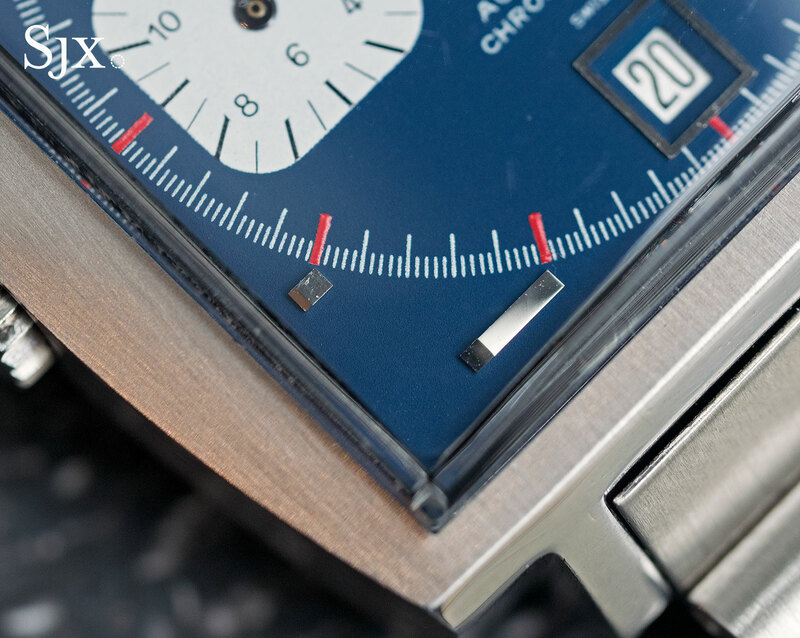 The blue dial, horizontal baton markers and square case are distinctly 1970s, yet still attractive today, a quality few watches of that era possess. And unlike many other comparable watches that are desirable for their provenance and history, the Monaco has a movement that is historically significant. The cal. 11 “Chronomatic” movement inside was perhaps the first Swiss made automatic chronograph movement; the El Primero is the other candidate, while Seiko had its own on the other side of the world), all of which were introduced in 1969. Distinguished by the crown on the left, the cal. 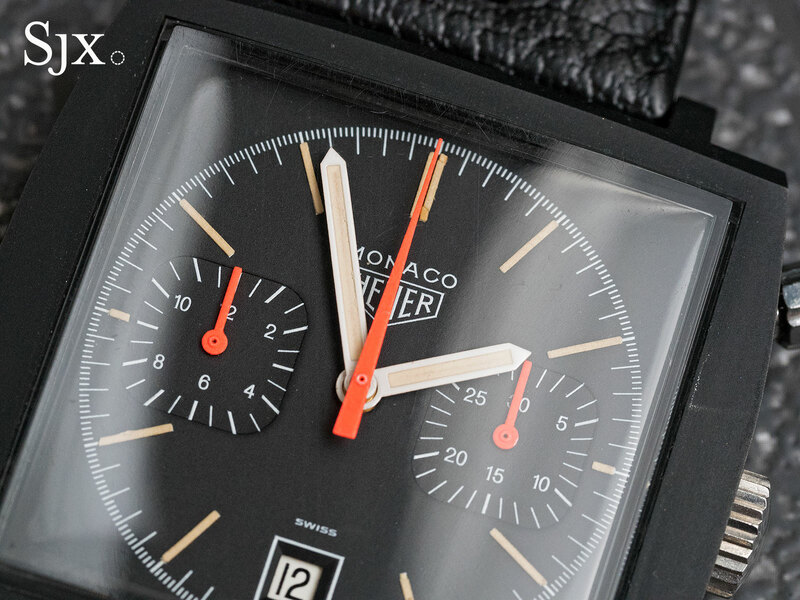 11 was a joint development between several brands, and was a last gasp of sorts for the mechanical chronograph before the Swiss watch industry went to hell in handbasket, carried along by the Quartz Crisis. The Monaco is estimated at SFr12,000 to SFr18,000. Introduced in 1969 as one of the debut models for the cal. 11 “Chronomatic” movement, the Autavia ref. 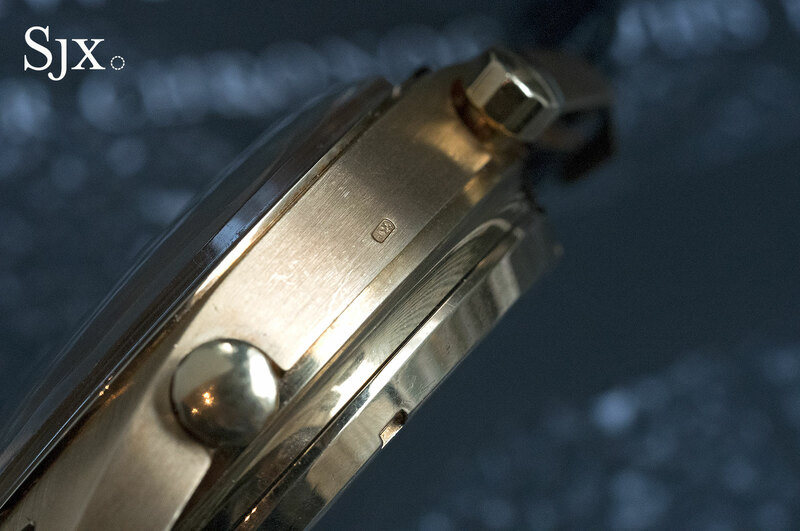 1163 was initially produced with “Chronomatic” on the dial. 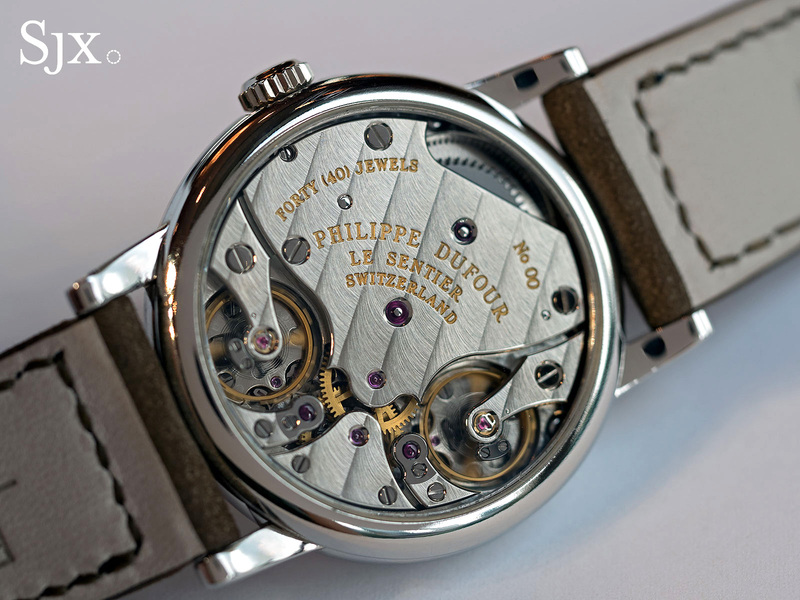 According to Phillips perhaps 50 to 100 such watches were made before the label was scrapped because it did not sell. 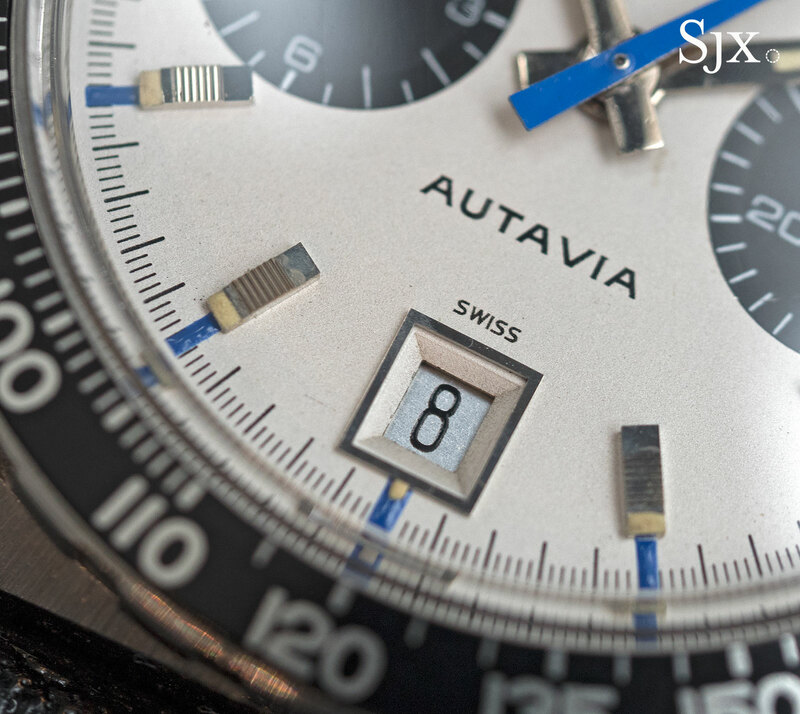 That production number encompassed various dial types for the Autavia, but arguably the most desirable is the variant in blue and white, nicknamed “Siffert” by collectors. 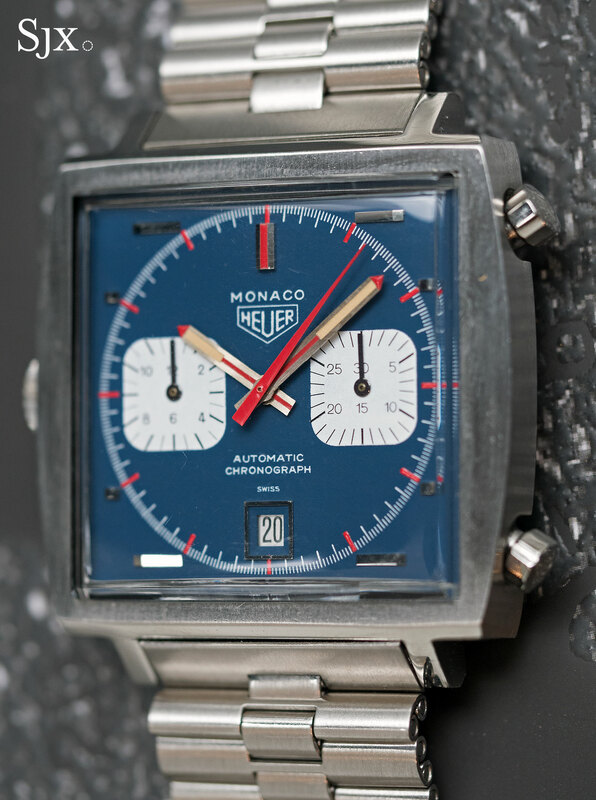 This comes from the fact that 1960s Swiss racing driver Jo Siffert was often pictured with a similar watch. 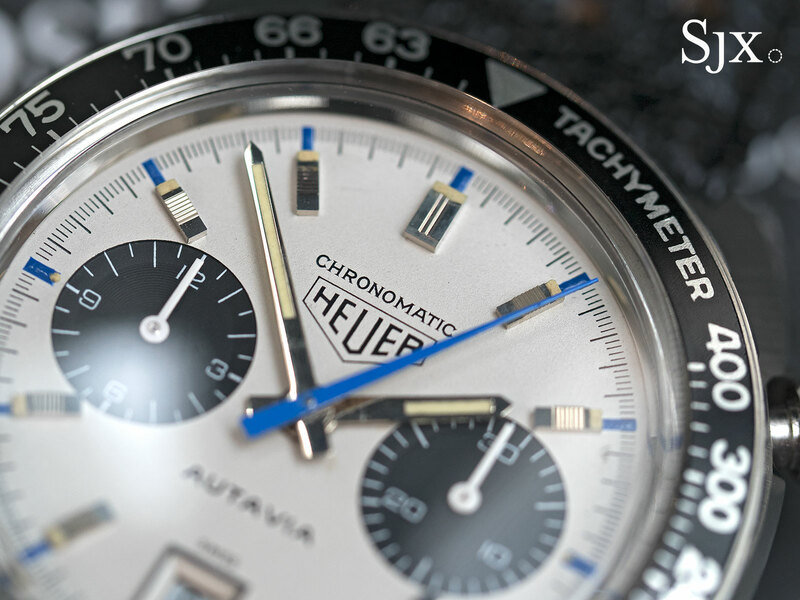 Lot 42 is one such Autavia, with both the “Chronomatic” label and “Siffert” colours making it notably valuable. 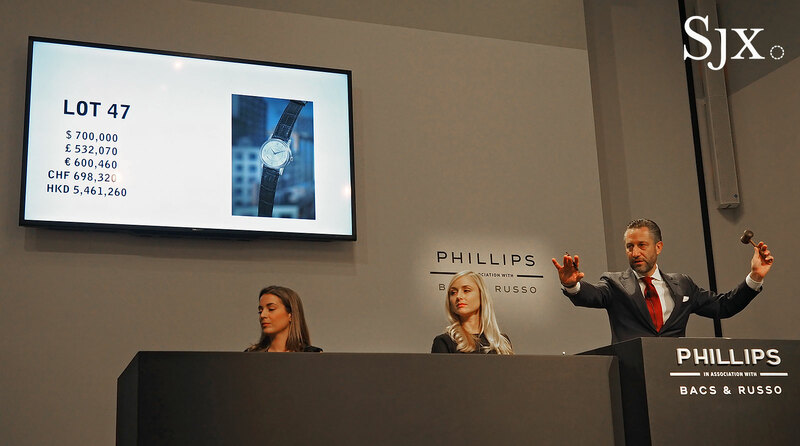 Christie’s sold a similar watch for US$87,500 in June 2017. This specimen, on the other hand, is in crisper condition and carries an estimate of SFr50,000 to SFr80,000. The preview exhibition takes place from November 9 to 11, from 10am to 6pm. It is open to the public. 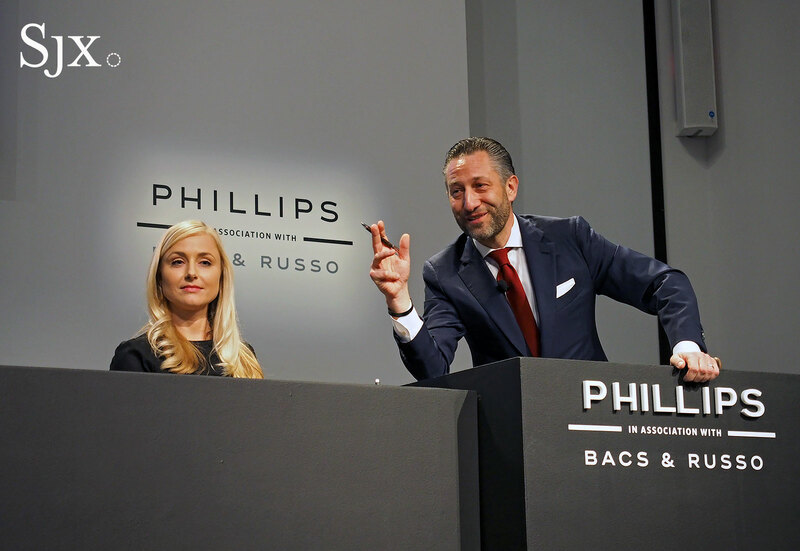 The auction starts at 6pm on November 11, at Hôtel La Réserve, 301 Route de Lausanne, Geneva. The full catalogue is available online. When the gavel went down, Paul Newman’s very own Rolex Daytona sold for US$17,752,500, including the buyer’s premium, making it the most expensive wristwatch ever sold at auction. 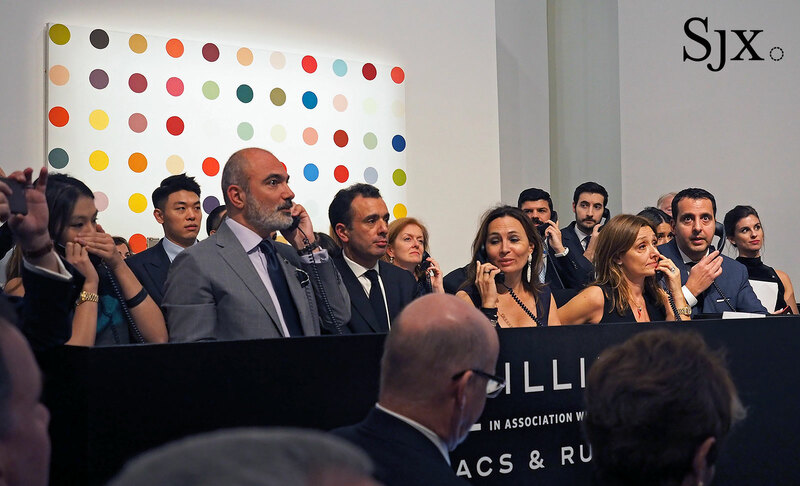 The result handily surpasses the US$5m record set by the ref. 6062 “Bao Dai” owned by the last Emperor of Vietnam, and also the US$11m achieved by the steel Patek Philippe ref. 1518 last year. 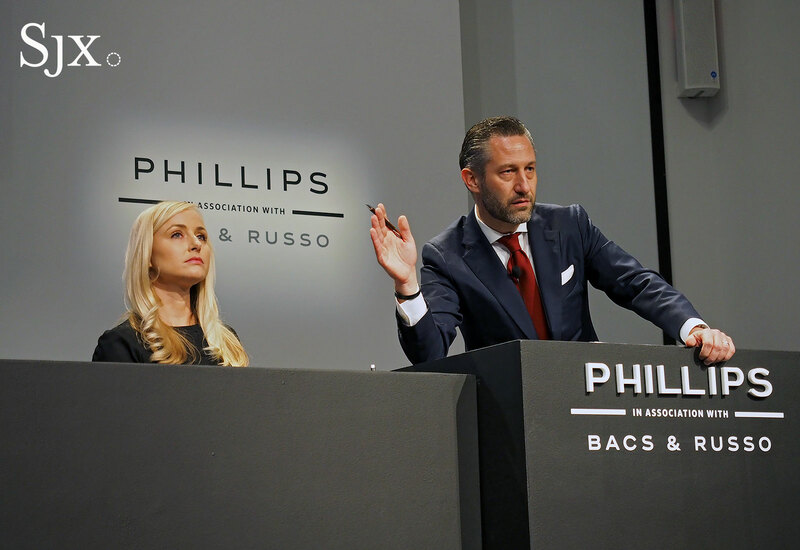 And it got there quickly too – though Phillips had set aside a half hour for the lot, the world record price took just 12 minutes. 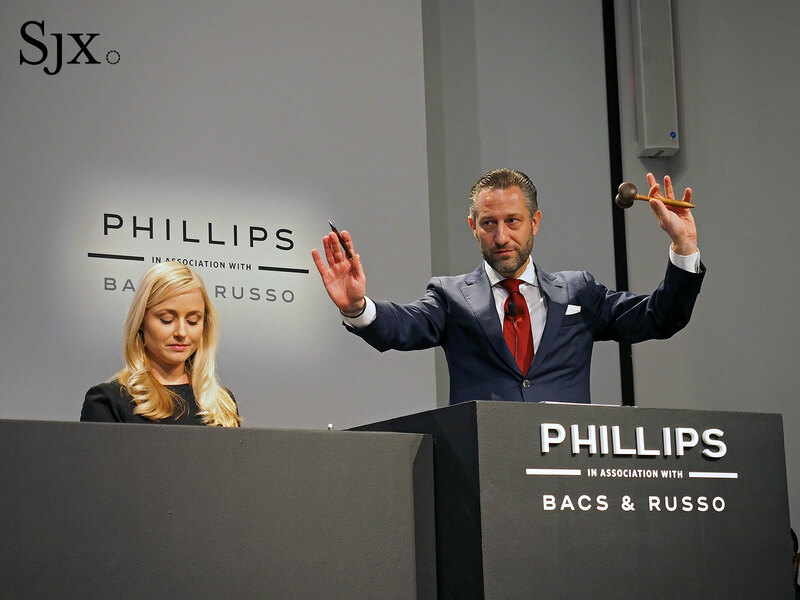 With Aurel Bacs at the rostrum opening the bidding by asking for a paltry US$1m, a stunning US$10m bid came Tiffany To of Phillips representing a phone bidder, momentarily shocking Bacs and resulting in whoops and cheers from the room. 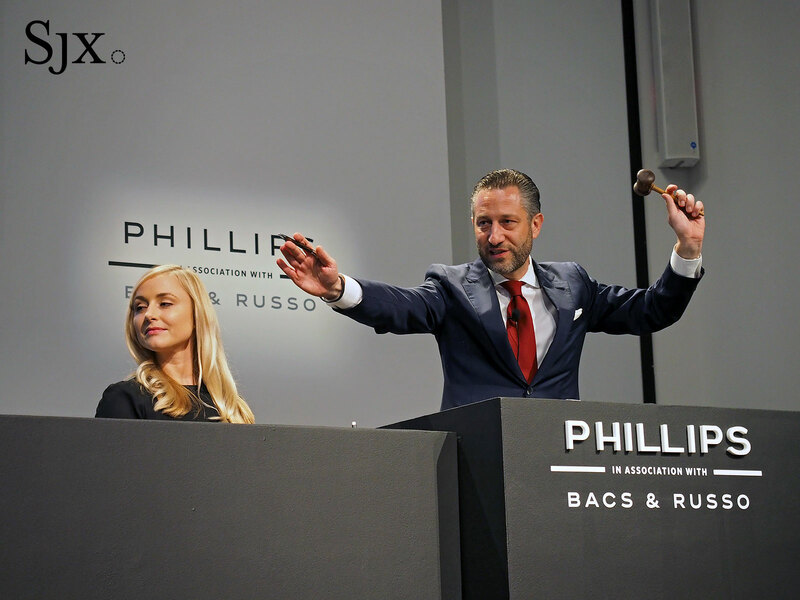 That instantly priced out all the room bidders, leaving just three phone bidders, represented by Tiffany To, as well as Leigh Zagoory and Natalie Monbaron, all of Phillips. Swiftly it was just down to To and Monbaron’s respective clients, both insistently increasing their bids. Monbaron’s resolute client bid in substantial increments of US$400,000, while To’s client was more measured with US$100,000 bids. Almost at the end the number was US$15m and To’s bidder went a hundred thousand up. Monbaron, not missing a beat, bid US$15.5m and clinched it. With all fees the final tally was US$17.52m. While the identity of the bidders is confidential, Monbaron is based in Geneva while To was formerly in Hong Kong, and now also based in Geneva – locations that might give a clue as to where the bidders hail from. 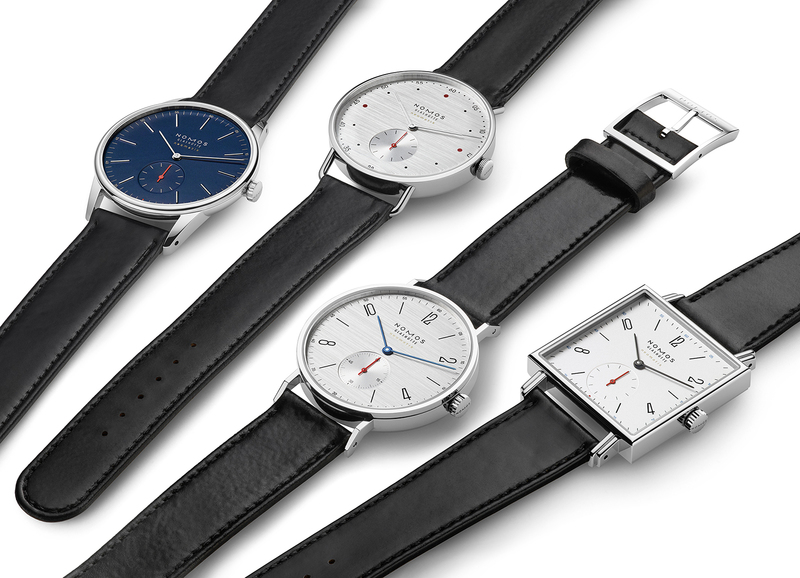 Nomos watches have historically tended towards smaller sizes, with 35m being the median, even for the recent neomatik line. 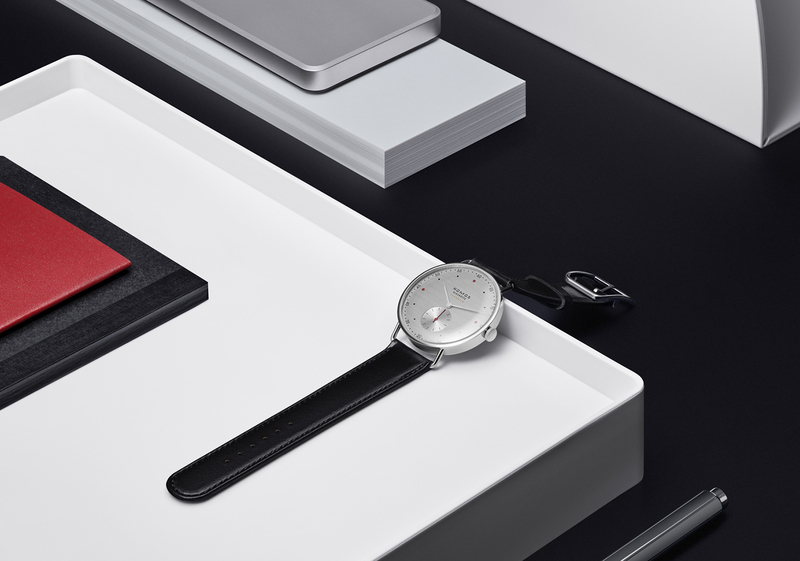 Nomos has now upsized the neomatik, albeit modestly, with the At Work — a line of 14 watches with 39mm cases. 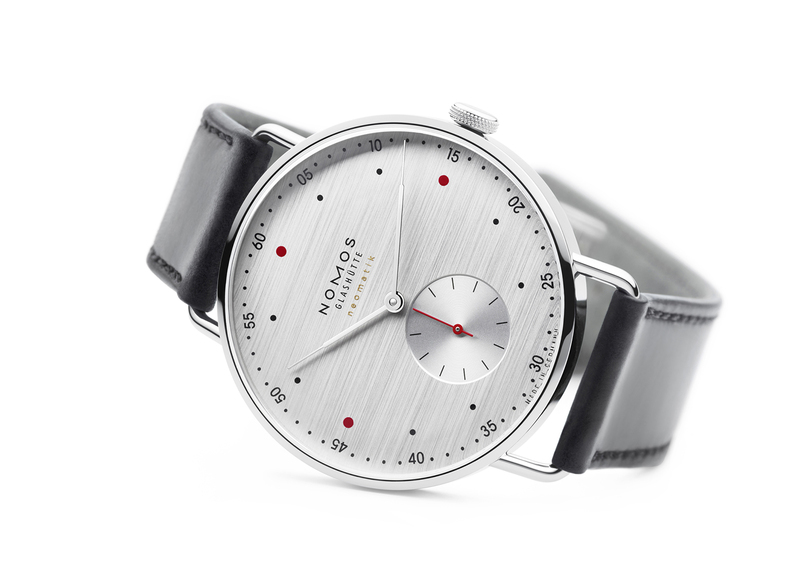 Like the vast majority of Nomos watches, all of the new models are stainless steel, except for the Metro in 18k rose gold. Until now, Nomos had only endowed luxe Lux and Lambda watches with gold cases, to complement the more elaborate movements. 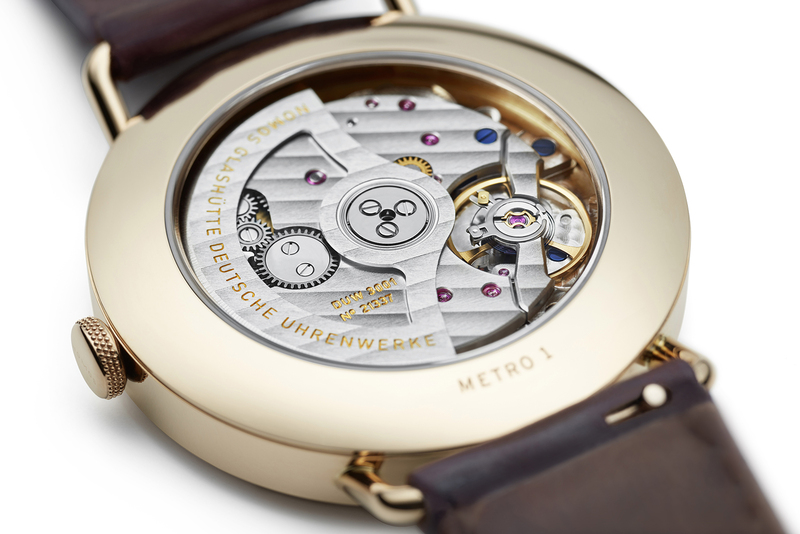 The rose gold Metro is the first of the simpler Nomos watches in gold (with the exception of some early Tangente models from perhaps 15 years ago). 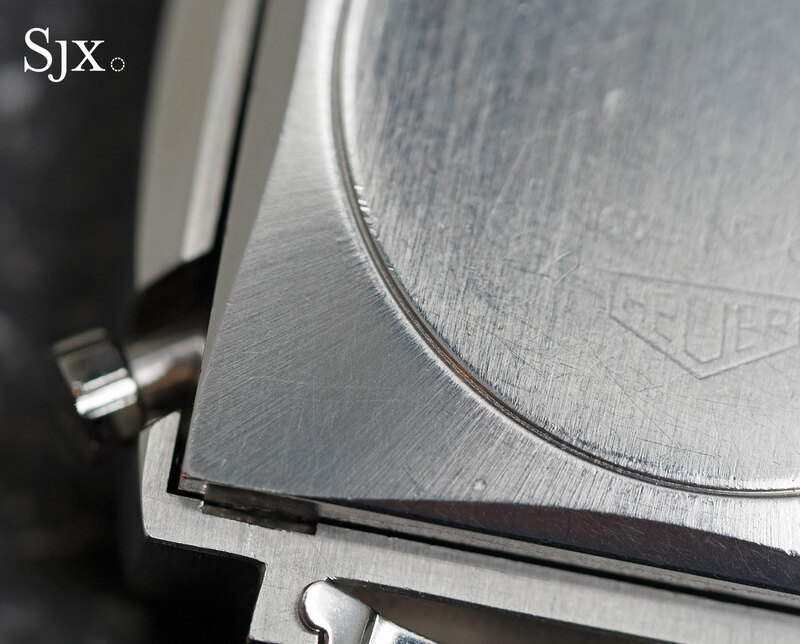 All watches in the At Work collection are powered by the automatic ultra-thin cal. 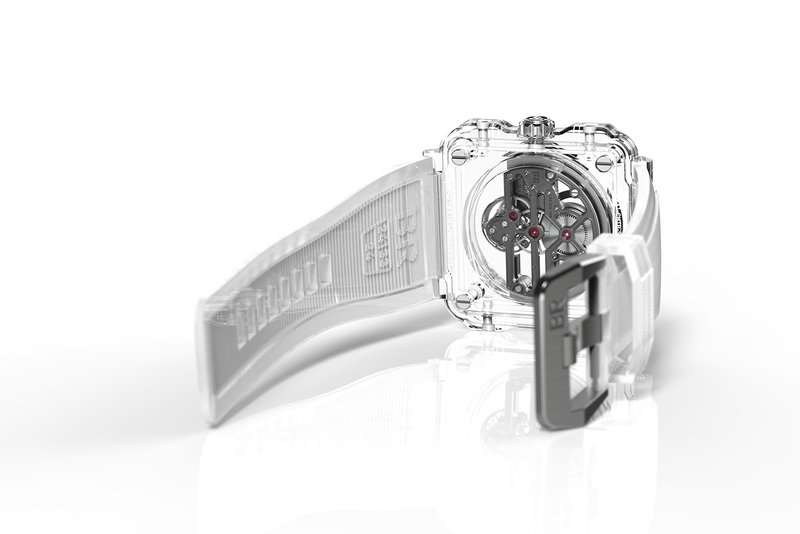 DUW 3001, which is equipped with the Nomos proprietary Swing System escapement and measures only 3.2mm high. 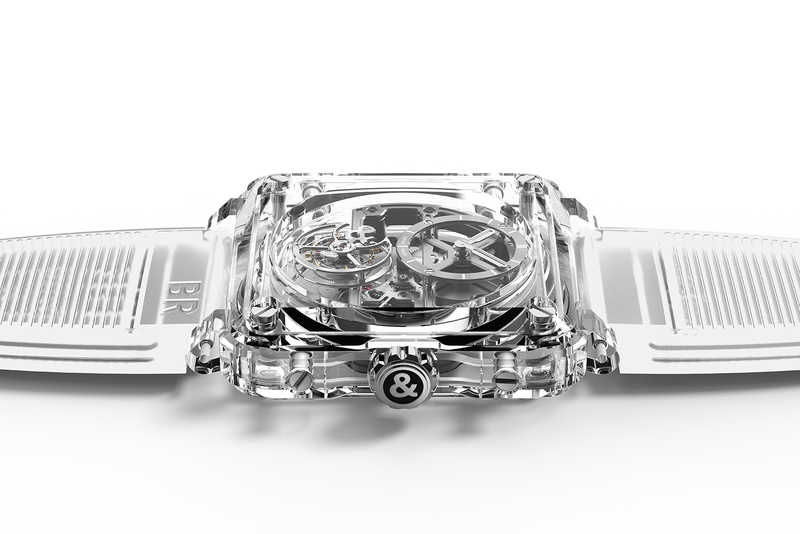 As a result of the larger case size, however, the movement appears small from the back, and the sub-seconds sits close to the centre on the dial. 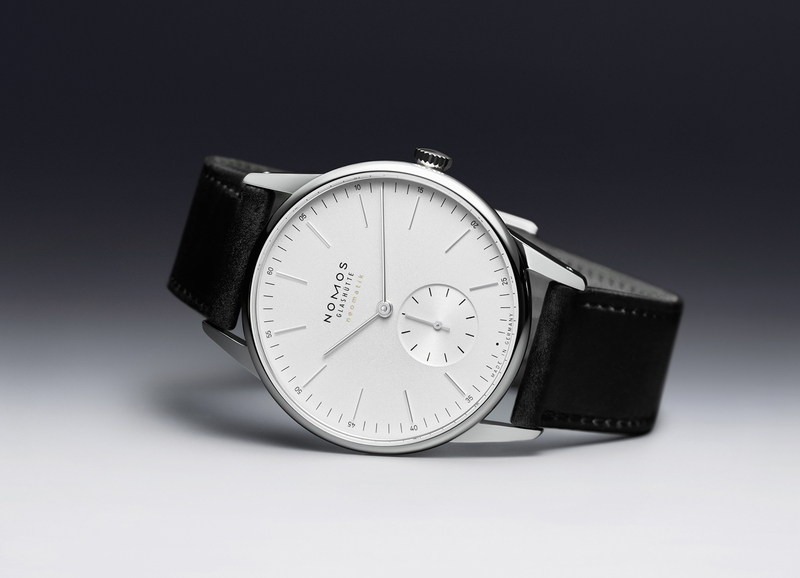 The At Work watches are already available from Nomos retailers, priced as follows, in US dollars and Singapore dollars. 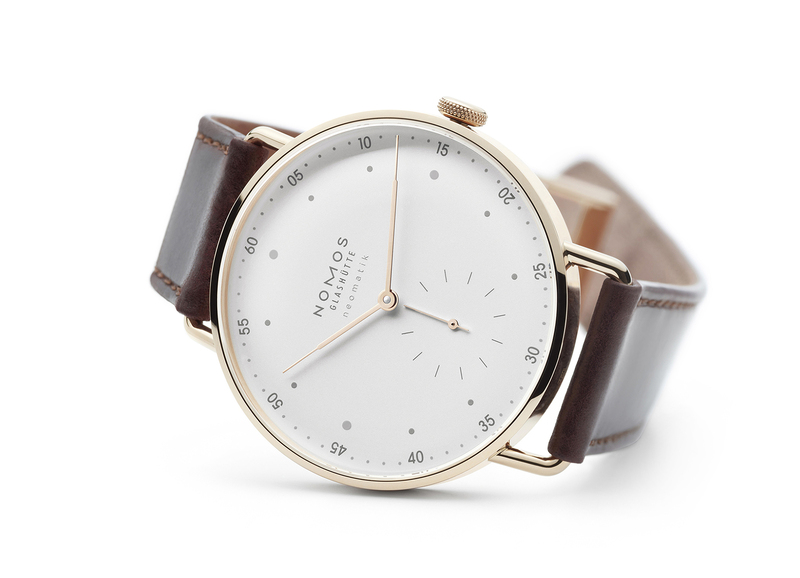 Nomos has just announced the Lambda and Lux, a pair of watches available only in gold. 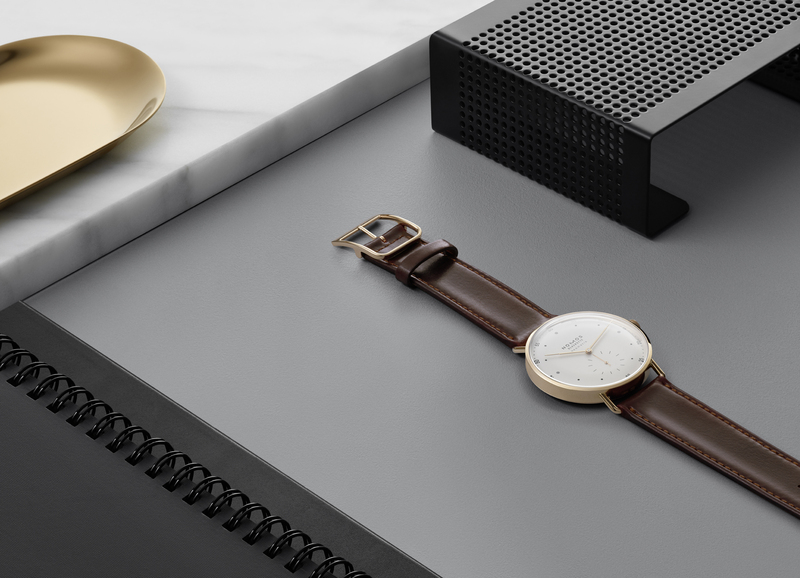 Forming the new Nomos Gold Collection, the Lambda and Lux take Nomos into a whole new realm in finishing and pricing.